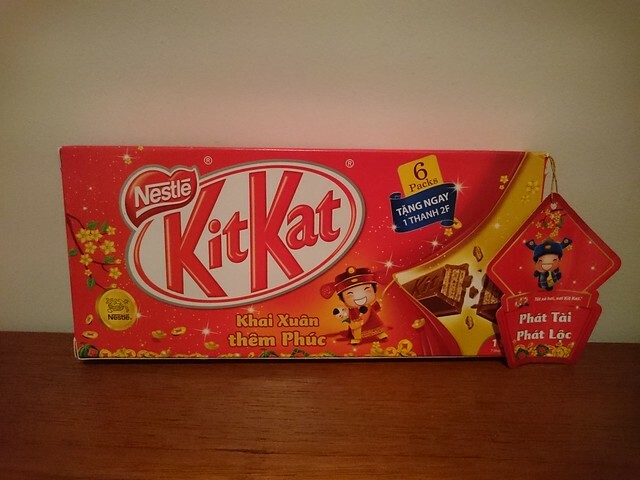 new year | Kit Kats! 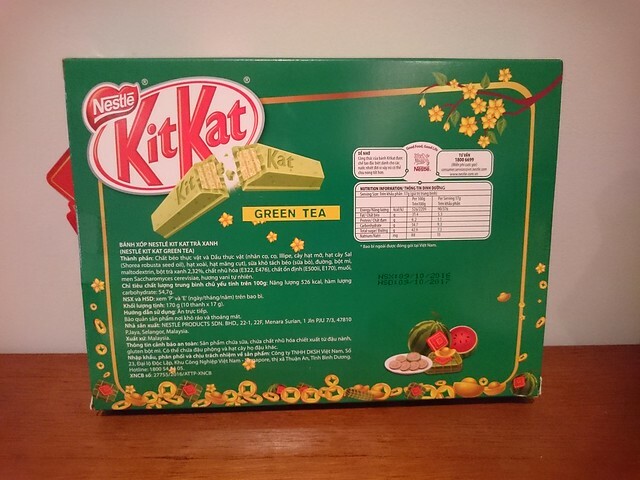 The box has an envelope on the back of it for the money. 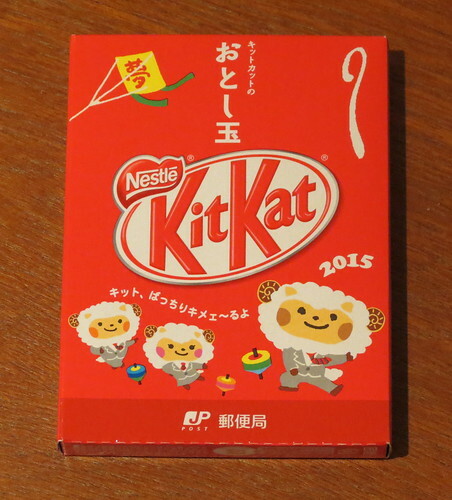 As it is the year of the sheep, the Kit Kats and box are decorated with cute sheep! 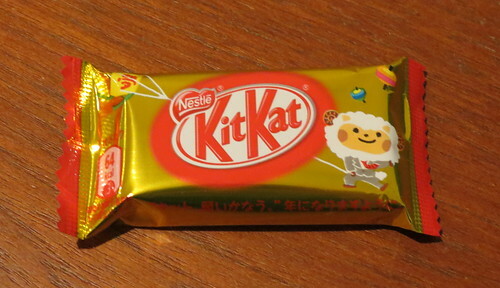 The gold Kit Kat says it is a rare golden package (I’m sure there’s one in every box!) and that perhaps this year something good will happen! 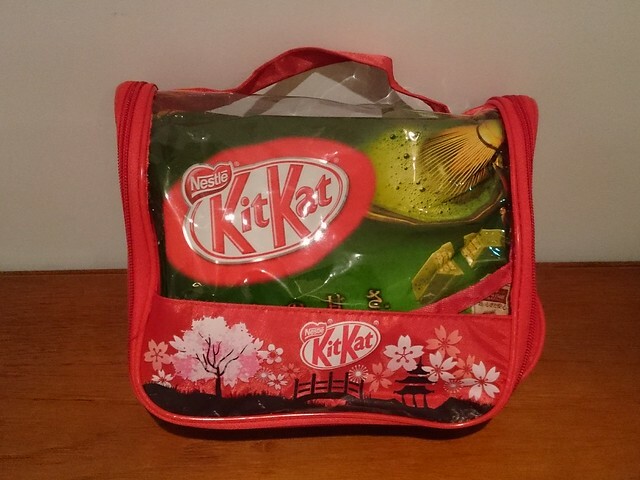 (レアなゴールデンパッケージ 今年いいことあるかも？！). 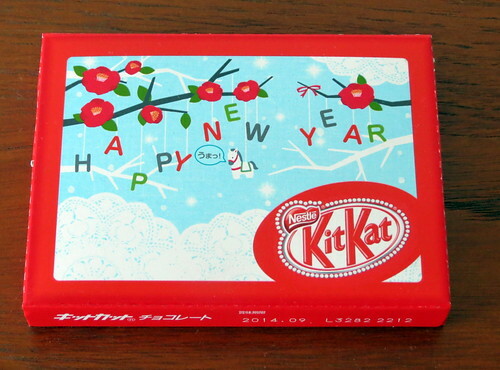 Sorry to be so late in posting this ‘Happy New Year’ Kit Kat from Japan! 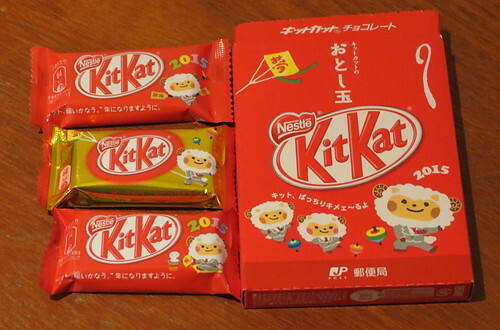 As with everything from Japan, the attention to detail in this packaging is lovely. 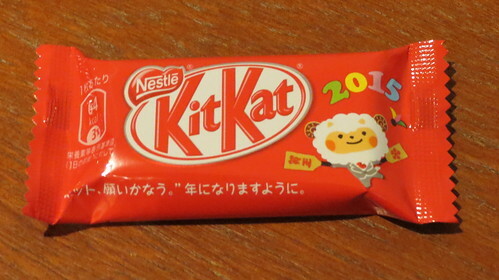 This year is the year of the horse, and there’s a little horse on the box saying 「うまっ！」 (‘uma!’). ‘Uma’ means ‘horse’, but this is a play on words as ‘uma!’ (more emphasis on the ‘a’ at the end) means ‘tasty’. 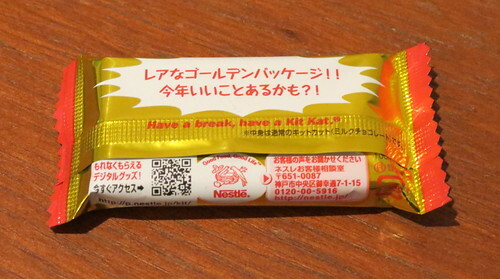 The Kit Kats are just original milk chocolate, but each one comes with a little ‘thank you’ message on the wrapper. 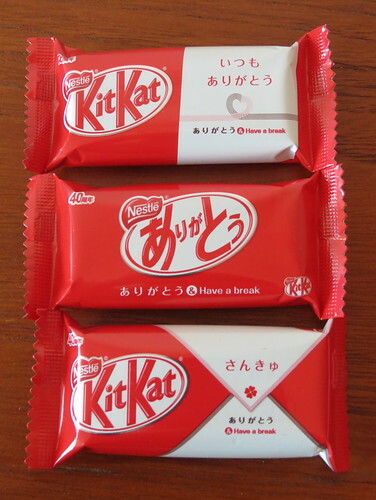 The messages say 「いつもありがとう」 (‘itsumo arigatou’ / ‘thank you, always’), 「ありがとう」 (‘arigatou’ / ‘thank you’), and 「さんきゅ」 (‘sankyu’ / ‘thank you’). 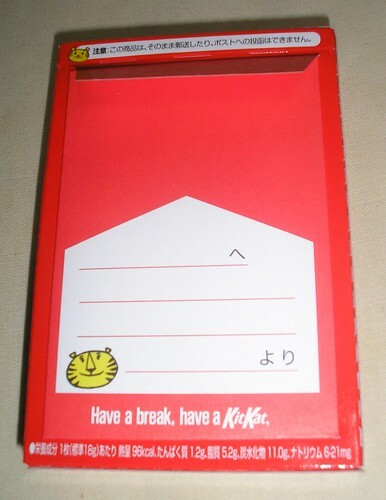 These Kit Kats all day “ありがとう (‘arigatou’ / ‘thank you’) & Have a break” – what a lovely gift they’d make! 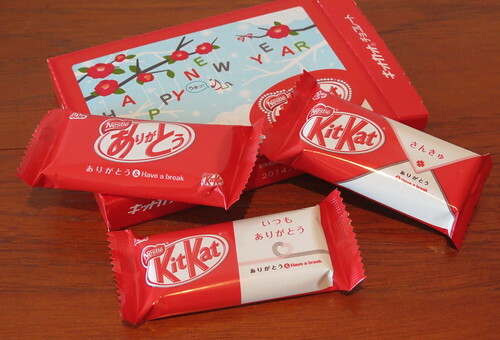 In Japan, on New Year’s Day, kids receive ‘otoshidama‘ (お年玉) from their parents and relatives. 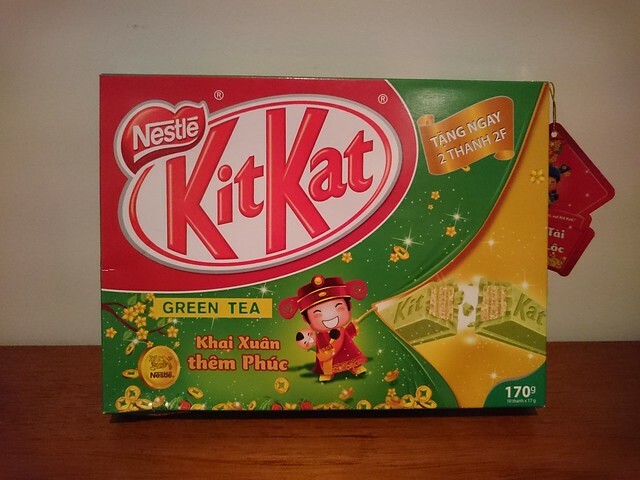 This year, it seems you can give a little Kit Kat luck along with your money! 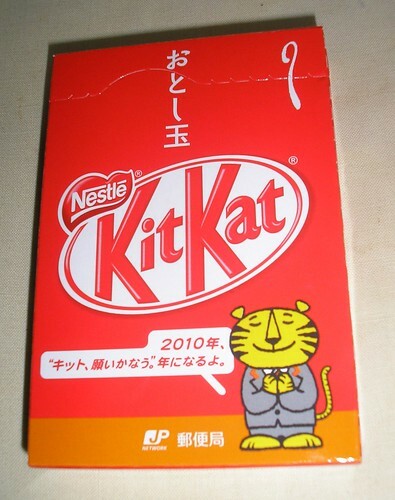 The above is the front view. 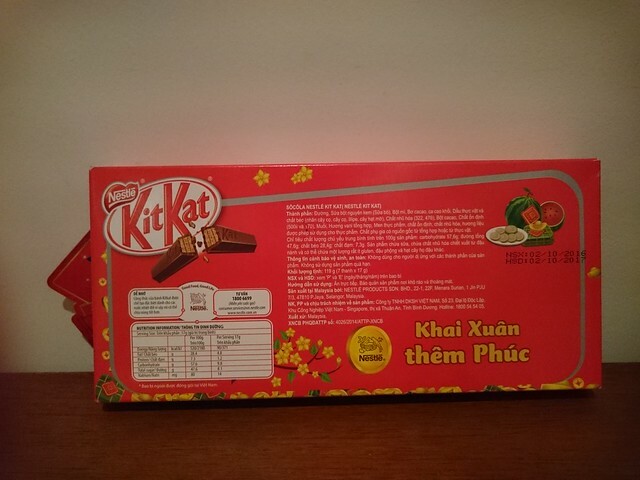 Below, you can see the back view. 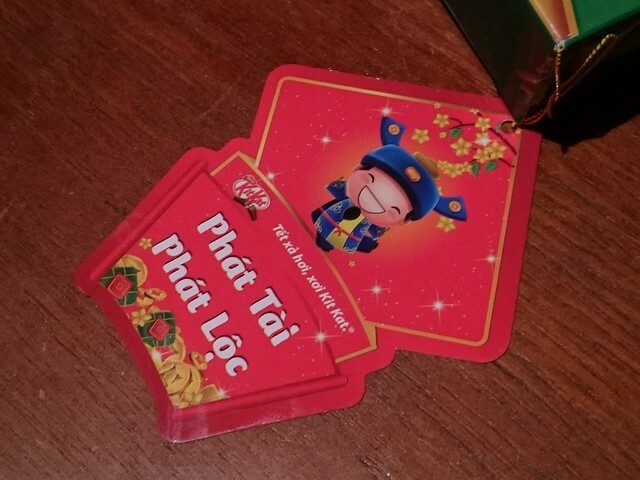 On the back, there is a small envelope attached, which is for the money to go in. There’s also a place for a little message. 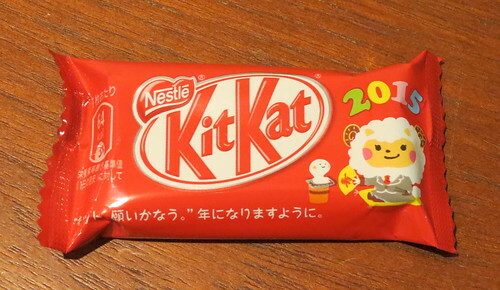 This really is such a cool design! 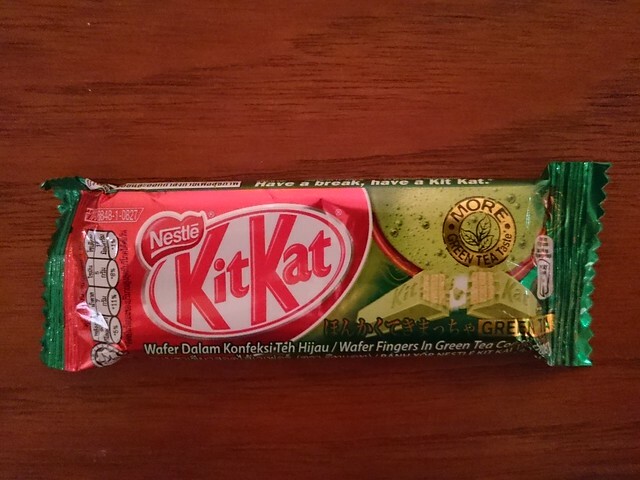 Inside, it’s just a regular Kit Kat, by the way. 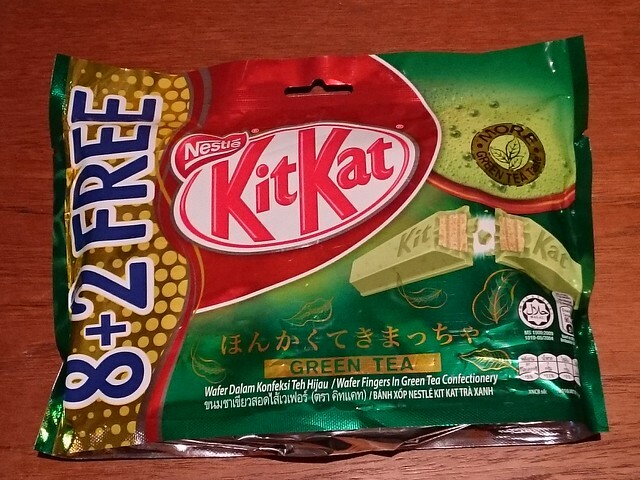 Maybe next year they will bring out different flavoured ones!